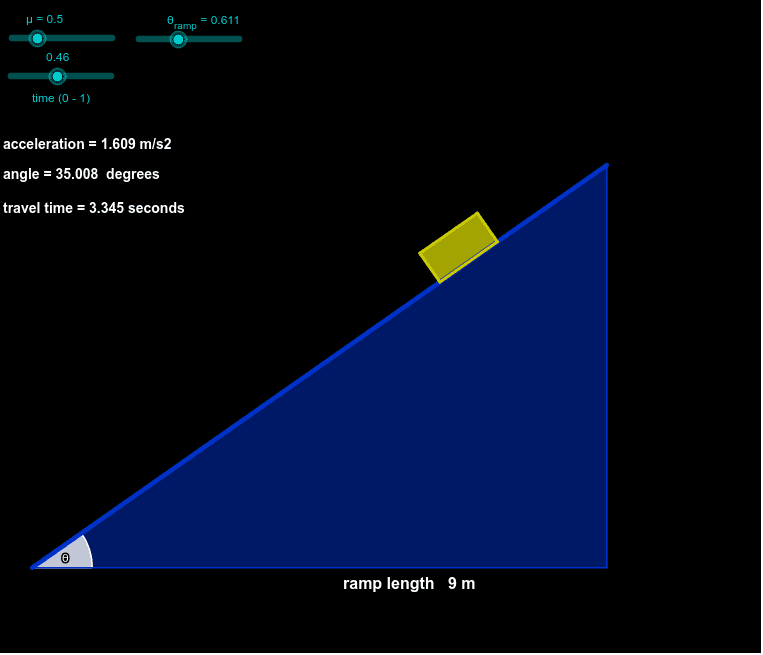 This applet shows the accelerated motion of a box down an inclined plane. If the coefficient of friction is large compared to the angle of inclination, the box will not move. Click the run/pause symbol at lower left to start/stop the motion. If you change the time slider manually, the animation will not work; then click the reset symbol at upper right. As an exercise, for a given inclination angle and coefficient of friction, try to predict whether the box will move, before starting the animation.